Posted on January 8, 2019 by Barbara H.
I mentioned on last year’s list of books read that I like to find balance in my reading: some intention, but some flexibility; some classics, but some modern; some already on my shelves, but some new-to-me. It seems that these particular challenges have helped me find that best balance, plus they are fun to do together. They can overlap with each other, thankfully – otherwise I could only choose one or two. So here are my reading plans for this year. Carrie hosts an annual Lucy Maud Montgomery Reading Challenge in January. I’m reading Marilla of Green Gables by Sarah McCoy. I was wary of it when I first heard of it, but then I read that the LMM estate was wary, too, yet liked it in the end. So I am reading out of curiosity but hoping it’s good. The Laura Ingalls Wilder Reading Challenge is hosted right here during the month of February! More information is here as well as an extended book list. On Feb. 1 I’ll post a sign-up post and share then what I’ll be reading. Tarissa at In the Bookcase hosts the Louisa May Alcott Reading Challenge in June, so I will share at that time what I will read for that challenge. Tarissa also hosts the Literary Christmas Challenge for the last two months of the year. The main rule: read Christmas books! Classic in Translation (written originally in a language different from your own): Possibly Anna Karenina by Tolstoy after Carol’s review reassured me that it’s not what I had thought it was. Classic Novella (250 or fewer pages): Possibly Sir Gibbie by George MacDonald. My copy has 192 pages. Classic From the Americas (includes the Caribbean). I may finally tackle The Great Gatsby by F. Scott Fitzergerald or maybe The Last of the Mohicans by Janes Fenimore Cooper. Classic From Africa, Asia, or Oceania (includes Australia). I don’t know of anything offhand for this category, so I may borrow Karen’s idea of Green Dolphin Street by Elizabeth Goudge. Classic From a Place You’ve Lived. Not sure about this one yet, but my choices are TX, SC, GA, and TN. Any suggestions? Classic Play. Probably either The Importance of Being Earnest by Oscar Wilde or Our Town by Thornton Wilder. 84, Charing Cross Road by Helene Hanff. Just received recently, but on my TBR list for a while now. On Writing Well by William Zinsser. On my TBR list for a very long time. As I finish them, I’ll come back and link the title to my review. I’m including the publication dates as well to make it easier to make sure they qualify for the challnge. 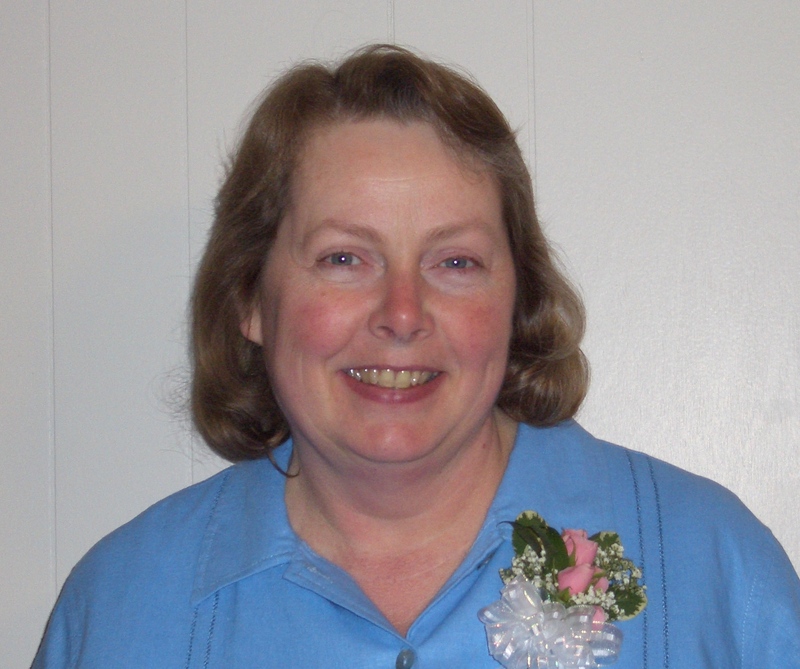 Bev hosts the Mount TBR Challenge to also encourage us to read the books we already own, but with a few differences. Every 12 books read is another level or “mountain” climbed. We don’t have to list the books yet (although some books for the above TBR challenge will count for this one as well), but we do have to commit to a level. I am committing to Mount Blanc (24 books). The one main rule here is that the books have to have been owned by us before January 1, 2019. But that means every book in my house and Kindle app on Jan. 1, even the ones I just got for Christmas, count! I appreciate that because too often I push my newer books back behind the ones that have been sitting there for a while. Bev is also hosting the Virtual TBR Reading Challenge, like the Mount TBR except that the first one requires you to own the books you’re reading. The virtual one can include borrowed books. I am not sure about this one yet. A book in the backlist of a favorite author: On Writing Well by William Zinsser is recommended by just about every book on writing that I have read. A book recommended by someone with great taste: On Reading Well: Finding the Good Life through Great Books by Karen Swallow Prior, recommended by Michele. Many on my TBR list are from Michele. Three books by the same author: I loved two books by Leisha Kelly last year, so I plan to read her next three: Katie’s Dream (finished 2/11/19), Rorie’s Secret, and Rachel’s Prayer. A book you chose for the cover: This is not something I usually do, so I’ll have to see if any covers catch my eye this year. A book by an author who is new to you:There’s a Reason They Call It GRANDparenting by Michele Howe, after seeing it on Michele’s review. A book outside your (genre) comfort zone: Annabel Lee by Mike Nappa (Finished 1/14/19). It’s described as a “fast-paced thriller” and looks a little scary. So – I think that will keep me busy for quite a while. I’m excited to get started! Do you have any reading plans for the year? 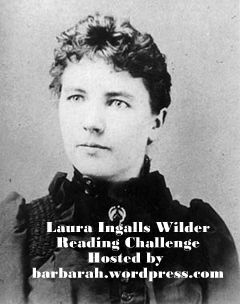 Posted on January 24, 2018 by Barbara H.
Just a reminder that the Laura Ingalls Wilder Reading Challenge starts here a week from tomorrow on Feb. 1! More information and an extended book list is here (you don’t have to choose a book from the list: it’s just there for suggestions). I’ll have a post here next Thursday where you can sign up to let us know you are participating and what you plan to read. I’m looking forward to seeing what your choices are! Posted on November 22, 2017 by Barbara H.
I’ve noticed that a number of people are posting about next year’s reading challenges and plans already, so for those who like to plan ahead, I wanted to let you know that the Laura Ingalls Wilder reading Challenge will take place here next February. This will be our 6th year! The idea is to read anything by or about Laura Ingalls Wilder during the month of February since her birth and death both occurred in February. Some have also incorporated some LIW activities during that month! It’s not required, but I love to see and hear about it. I’ll have a sign-up post here on February 1st. You don’t have to have a blog to participate, but if you do, I welcome you to post about the books you read or any activities you might do, and/or post a wrap-up of your LIW reading at the end of the month and link to our wrap-up post here on Feb. 8. If you don’t have a blog, you can let us know in the comments on that post what you read. A few years ago I posted a list of books that I had come across by or about Laura for those people who wanted to roam beyond just the Little House books. I’ve become aware of so many more, I thought it was time for an updated list. You’re not restricted to this list by any means – these are just some that I have read or heard of. I am sure there’s multitudes more I haven’t heard of yet. I’ve linked the ones I’ve read back to my reviews. Saving Graces: the Inspirational Writings of Laura Ingalls Wilder (linked to my review), a collection of inspirational or faith-based writings pulled from the columns in Little House in the Ozarks. Writings to Young Women from Laura Ingalls Wilder (3 volumes) I’ve not read this yet, but it appears to be the same type of thing: some of the columns from the first book sorted into different categories. On the Way Home, a diary of her move with her husband and daughter in a covered wagon from South Dakota to Missouri. West From Home (linked to my review), letters Laura wrote to Almanzo while visiting their daughter in San Francisco, where she visited the World’s Fair. A Little House Traveler contains the above two books plus the previously unpublished The Road Back, about the first trip she and Almonzo took back to De Smet, where Laura grew up and where they met. A Little House Sampler, stories and writings of Laura as well as of Rose Wilder Lane, compiled by William T. Anderson. Pioneer Girl (linked to my review), the script of Laura’s first draft of what was to become the Little House books, wonderfully and thoroughly annotated by Pamela Smith Hill. I Remember Laura by Stephen W. Hines (linked to my review), a collection of articles and interviews of people who actually knew Laura. There are several, William Anderson’s perhaps the most well known. More on Anderson’s work, and some information on MacBride, is here. Free Land: I don’t know if this is about any particular family members, but it is about the same times and situations. Roger Lea MacBride, Rose’s sole heir and the co-creator and co-producer of the Little House on the Prairie TV series, published a series of books based on Rose’s childhood. Mary Ingalls on Her Own (Little House Sequel) by Elizabeth Cody Kimmel. My First Little House Books, wonderfully reviewed by Rebekah. I bought a set myself! The Little House Guidebook about the different sites and museums associated with Laura. Arkansas Traveler: Music from Little House on the Prairie. I celebrated her 150th birthday with fun facts, quotes, and links related to her as well as Apple Upside Down Cake made from her cookbook. Laura fan extraordinaire and historian Melanie Stringer has a treasure trove of information at Meet Laura Ingalls Wilder. Little House Companion blog: you might find some neat ideas for activities and Laura-related books there. I have plans for a couple this February, but I see many more I’d like to get to! I hope you do, too!